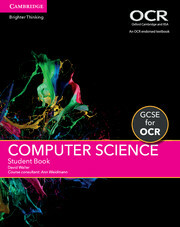 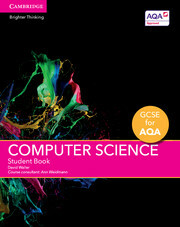 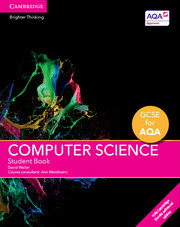 Written for the OCR GCSE Computer Science specification for first teaching from 2016, this print Student Book uses an exciting and engaging approach to help students build their knowledge and master underlying computing principles and concepts. 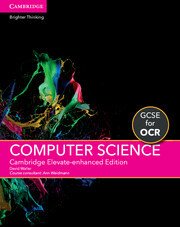 Designed to develop computational thinking, programming and problem-solving skills, this resource includes challenges that build on learning objectives, and real-life examples that demonstrate how computer science relates to everyday life. 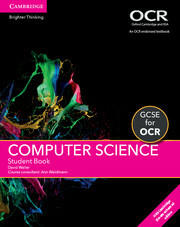 Remember features act as revision references for students and key mathematical skills relevant to computer science are highlighted throughout. 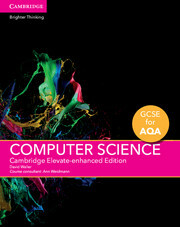 A digital Cambridge Elevate-enhanced Edition and a free digital Teacher’s Resource are also available.